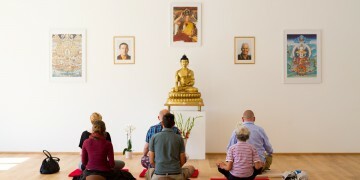 The Diamond Way meditation centre in Prague is open to everyone interested in Buddhism. The regular programme consists of public lectures, guided meditations and explanations for newcomers. 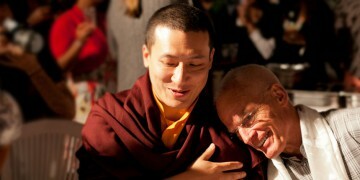 We are part of the Karma Kagyu lineage and our main teachers are lama Ole Nydahl and the 17th Karmapa Thinle Thaye Dorje. Buddha gave his students effective methods aimed at their personal development that allowed them to live better, become free and full of joy. His teachings were given in everyday situations while he was travelling with his students through India and teaching “the way things are”. Buddhist meditation is the fastest way to develop mind’s full potential and to reach lasting happiness. 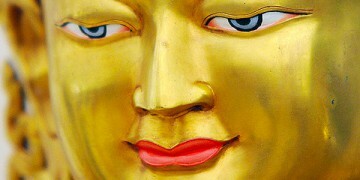 The Buddhist goal is exceedingly simple - to get rid of hopes and fears. All mind’s perfect qualities arise naturally in the moment of here and now. The Diamond Way Buddhist centre was founded by lama Ole Nydahl, who is one of the first europeans who were asked to teach Buddhism in the West. The centre is under the spiritual guidance of the 17th Karmapa Thaye Dorje, who is the head of the Karma Kagyu lineage. Come first to a public lecture about Buddhism that takes place every second monday. Contact us, if you require a translation. Looking for meditations for beginners? Try the 16th Karmapa meditation. We meditate together every day at 20.00 and the meditation is guided in English on Thursdays.